CBS is bringing The Late Late Show‘s James Corden back to host the 73rd Annual Tony Awards. Corden made his Tonys hosting debut with the 70th Annual Tony Awards in 2016, and that gig was so well received it earned an Emmy in the Outstanding Special Class Program category. It also drew in the Tony Awards‘ biggest audience in 15 years. The 2019 Tony Awards will be held on Sunday, June 9th and will air live on CBS at 8pm ET (tape-delayed on the West Coast). The awards show will take place at the Radio City Music Hall in New York City. 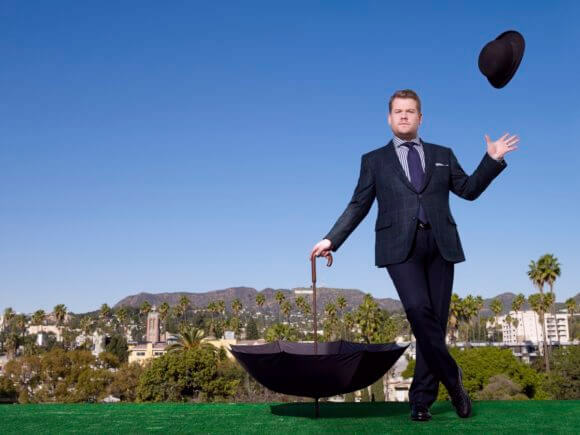 Corden’s hosting resume also includes two years of handling the Grammy Awards. Nominees for the 2019 Tony Awards will be revealed on Tuesday, April 30th. This year’s awards show will be produced by Tony Awards veterans Ricky Kirshner and Glenn Weiss. Weiss is also returning as director. “Hilarious. Insanely talented. Musical savant. Brilliantly unpredictable. James Corden!” said executive producers Kirshner and Weiss.